Chromecast is one of the most popular and awesome things Google has launched in the past decade. 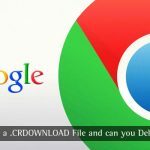 It had its own contribution in making Chrome an extensive platform for entertainment. In the simple terms, it’s an impressively small device you can use for streaming. You can stream media content from your smartphones or Chrome browser to your home television with HDMI Connectivity. All you need is a Chromecast dongle, a good Wi-Fi Connection and an Android, iOS, Windows or Mac device. For ‘casting’, however, you need Google Chromecast apps too. Don’t worry; there are many of them. Then comes the problem of choosing the right Google Chromecast apps. 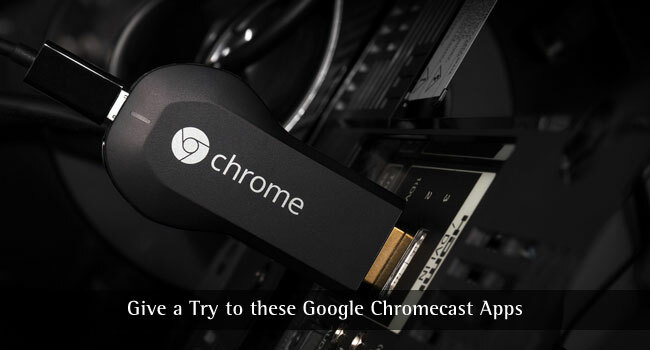 In this article, we have created a list of the best Chromecast apps that you should check out. We have brought apps from different categories such as Movies and TV, Games, Music etc. All these are basically Android, iOS, Mac or Chrome apps that have native support for casting. We hope the list helps you start casting the right way! Now that you have purchased and set up Chromecast, Spotify is the first Chromecast app to check out. 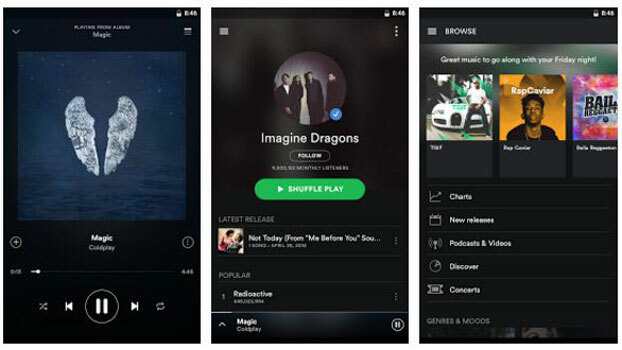 It’s a widely popular online music streaming service, which is available for Android, iOS, Mac and more. As of now, it has fully-fledged casting support in both Android and iOS apps. For those who don’t know, Spotify is a paid service that costs $9.99 a month. In addition to streaming, these apps let you store the songs for listening to them offline too. As far as casting is concerned, Spotify lets you listen to your favorite music through an HDMI TV or a sound system. In short, it’s a must have for music-lovers. Netflix is the new term of Entertainment and there’s no doubt on that matter. As you know, you can easily install Netflix on various devices, including Smartphones and Desktop devices. Coming to portable devices, both iOS and Android apps of Netflix have native casting supports. So, be it House of Cards or a favorite film of yours, everything can be brought to your fully-fledged HDTV. Provided you have a good Wi-Fi connection at home, you can enjoy High-Definition streaming on the big screen. Obviously, Netflix is a premium service and there are different plans with different monthly rentals. You might have downloaded this Android app for setting up Google Chromecast. Also, if you have tried any Google Home devices, you will surely have this app. By the way, apart from configuring Chromecast, this app has some other capabilities too. First of all, Google Home lets you cast apps and games to the big HDMI TV. In this case, the app needn’t to be casting-compatible. You can also cast content from browsers you use. 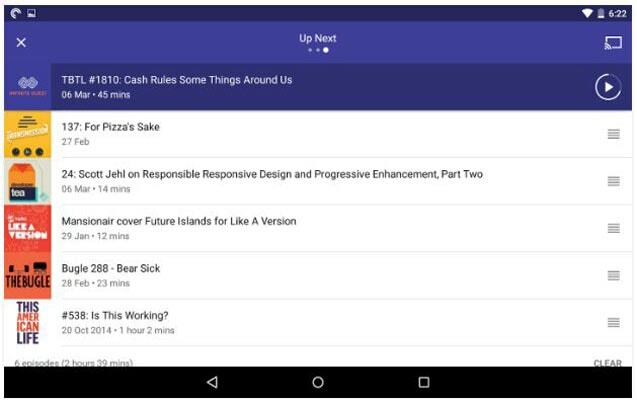 The app also lets you explore the variety of popular content over the other Chromecast you have installed. 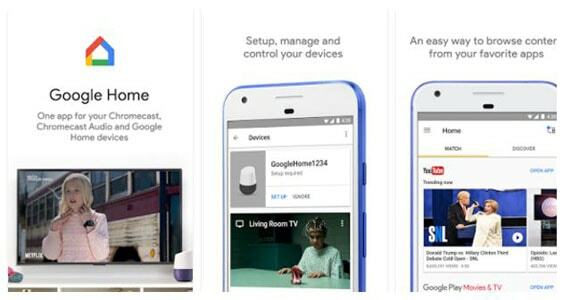 You’d also be able to manage multiple Chromecast devices at once. Above, we were talking about streaming content that is streamed. However, at times, you may want to cast media from your smartphone itself. In such occasions, you can rely on LocalCast – which is a free Android app. LocalCast supports not only Chromecast devices but also the other gadgets with DLNA Technology. That is, if you have a DLNA-compatible Smart TV, you can directly stream content. It supports videos, photos and music at the same time. In the best case, you can cast content from PDF documents as well – I mean, if you really want to read something on that big screen. You might have guessed something from the name already. AllCast is a multipurpose streaming and casting application that works with Chromecast. That is, you can cast locally-stored content to your big-screen HDTV in no time. The best part is that AllCast supports not only Chromecast but also others like FireTV, Apple TV, Xbox, Roku and other DNLA-compatible devices. Although it’s a free app, there are some serious limitations, in terms of viewing time. So, you might want to purchase the paid version for a full set of features. If you don’t have some Chromecast-compatible apps in the device, you should definitely check out AllCast. Are you interested in listening to Podcasts? Then, Pocket Casts is one of the must-have Chromecast apps in our list. Even if we keep aside the streaming facility, Pocket Casts is a wonderful app for compiling different podcasts you’ve subscribed to. Thanks to the intuitive User Interface, you will have no trouble in arranging or accessing the list of podcasts. Other noticeable features include Auto-Downloading, Auto-Cleanup and an option to create smart Podcast Playlists. Coming to the Chromecast part, Pocket Casts works pretty superb. If you need an app that lets you stream podcasts to Chromecast and then to store all the podcasts in a right manner, go for this app. Videostream is an impressive pick in our list of best Chromecast apps. Unlike the aforementioned ones, it’s a Chrome app. It means you can download and install Videostream in your Chrome browser. Using this app, you can stream videos and other content straight from your desktop. This is an advantage because desktop devices support more video formats when compared to Android or iOS. You can also have extra perks such as subtitle support. Moreover, Videostream is a completely free Chrome extension and easy to use. You can also get its remote control apps for both Android and iOS. We have already covered Netflix, a popular online content streaming service. For obvious reasons, Hulu has a place in this list, the major one being the wider collection of visual content. For the most part, Hulu offers a bunch of Movies, TV Series and not to mention the Hulu originals. You can stream all these content to your HDMI-compatible TV. Given that Hulu offers High-Definition streaming, there’s no compromise over quality either. It’s a paid service and the basic plans start from $7.99 per month. The amount is pretty reasonable if compared to that of Netflix. Last but not least, Chromecast support is native and completely powerful. The list won’t be complete without YouTube, in any case. YouTube is the largest video-sharing platform that offers almost all types of video content – including music, short videos, documentaries and even full-length movies. Being a product from Google, YouTube apps offer native support for Chromecast. All you have to do is to open the YouTube app and hit the ‘cast’ button to move on. In no time, you can start watching the video on the big screen. When compared to other apps, casting experience here is smoother. Most of the YouTube videos being available in HD Quality, there’s no issue too. Last in the list but precisely the best, Plex is a wonderful Chromecast app to check out. 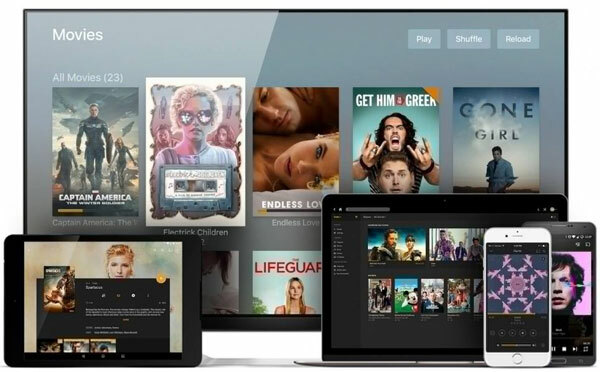 Plex is also known as Plex Media Server because it constructs a virtual media server for streaming. However, as far as Chromecast users are concerned, you can seamlessly stream content to a TV. It has dedicated apps available for Android, Android TV and others. Thanks to these apps, it won’t be a tough task to stream content from your Desktop or Android device to the Chromecast. In other words, you’re creating a media organizer and server. It needs to be noted that Plex has free and premium plans. If you need full access to features, it’s necessary to pay. So, these are the best Google Chromecast apps you must check out. We have compiled apps from different categories, such as Productivity, Media Streaming and other utilities. Make sure that you install the awesome apps from the list and have the best Chromecast streaming experience. I was searching something else. Recently, I’ve seen your article and read it. You’ve explained very well. I really liked it. So, keep up the good work. Very interesting and informative post thanks for the interesting and useful information.